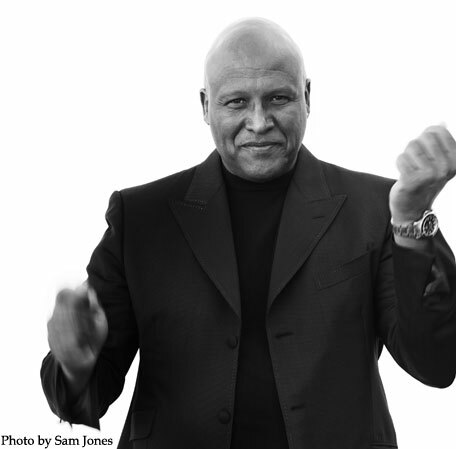 Steve Ferrone was born on April 25, 1950 in Brighton, England. The former Average White Band drummer has played with a who’s who of the music business, including Mindi Abair, Brian Auger Oblivion Express, Anita Baker, Ray Barretto, George Benson, the B-52’s, Johnny Cash, Eric Clapton, Donovan, George Duke, Duran Duran, The Emotions, Bryan Ferry, Roberta Flack, Peter Frampton, Aretha Franklin, David Garfield, Lincoln Goines, Jeff Golub, George Harrison, Michael Jackson, Mick Jagger, Al Jarreau, Chaka Khan, Christine McVie, Pat Metheny, Bette Midler, Keb Mo, Stevie Nicks, David Sanborn, Carly Simon, James Taylor, The Temptations, Robbie Williams, Johnny Winter, and Steve Winwood. Ferrone recorded Tom Petty’s acclaimed solo album Wildflowers in 1992; he subsequently joined Petty’s Heartbreakers and has been a bandmember since. Steve’s influences include Ringo Starr, Charlie Watts, Tony Meehan (The Shadows), Bernard Purdie, Grady Tate, Elvin Jones, Max Roach, Art Blakey, John Bonham, Clyde Stubblefield, Al Jackson Jr., Harvey Mason, and Jack DeJohnette. This multi-format collection includes grooves formatted for BFD3®, BFD2®, BFD Eco®, EZDrummer®, Superior Drummer®, Addictive Drums®, Steven Slate Drums 4, Accent, sCakewalk® Session Drummer™ as well as General MIDI Standard MIDI Files which can be used with any GM compatible drum software or hardware --- this includes drum machines and synthesizers which have drum sounds. Platinum Samples are one of the foremost producers of drum samples in the world, with over 50 years of experience in the professional music industry. 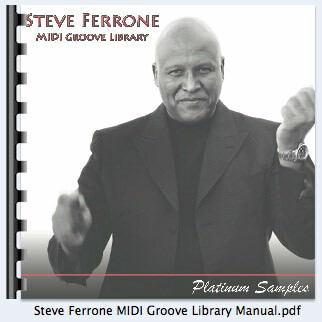 The Steve Ferrone MIDI Groove Library was recorded over a two-day session by Steve Ferrone on a Yamaha DTXtremeIII Special electronic drum set.